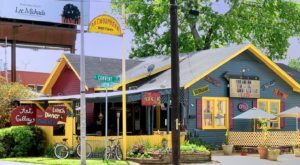 Looking for a fun, educational place to take the kids? 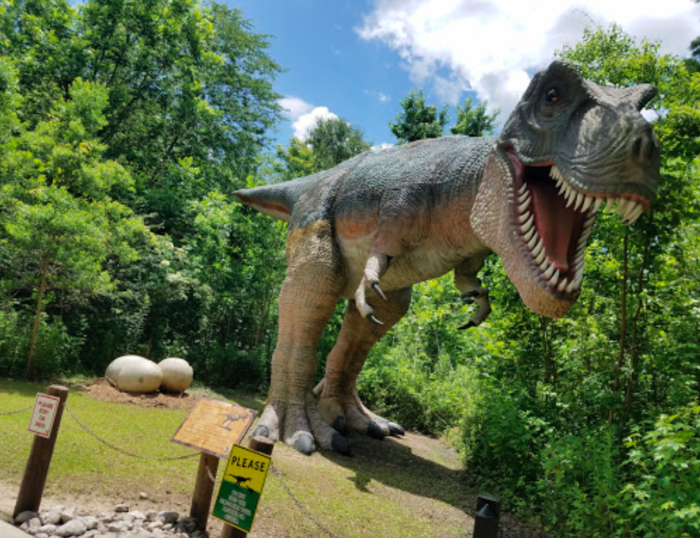 If you have children that are fascinated by dinosaurs (or if your inner paleontologist is calling), then you absolutely must check out this unique attraction in the heart of Cajun Country. 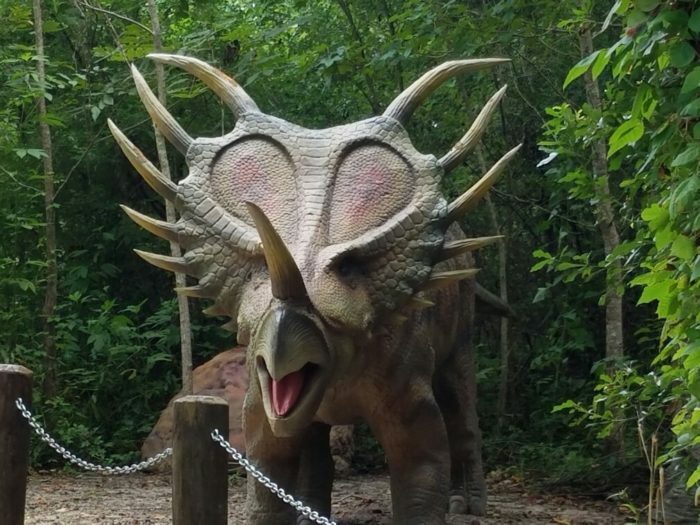 Prehistoric Park is Louisiana’s only attraction dedicated to dinosaurs. 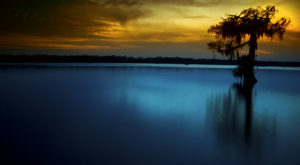 It’s conveniently located near Cajun Palms RV resort in Henderson, just north of I-10. 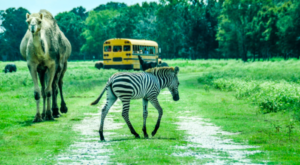 At Prehistoric Park, you can wander through 12 acres filled with life-size creatures from the past. 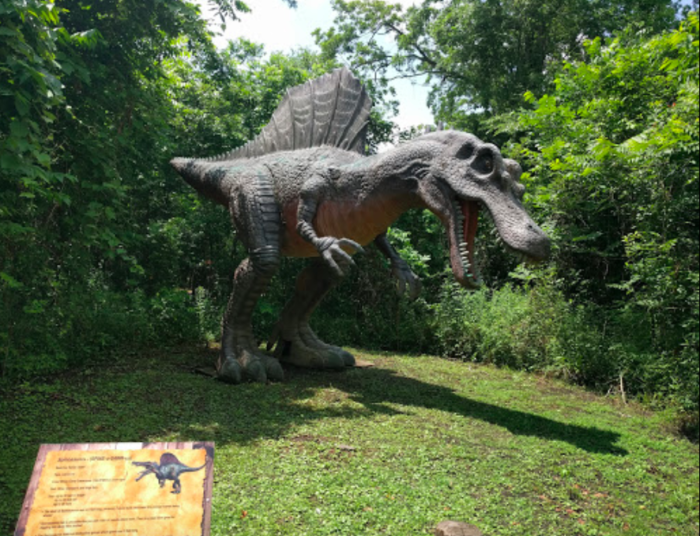 You’ll learn all about these prehistoric creatures as you make your way through the exploration area. 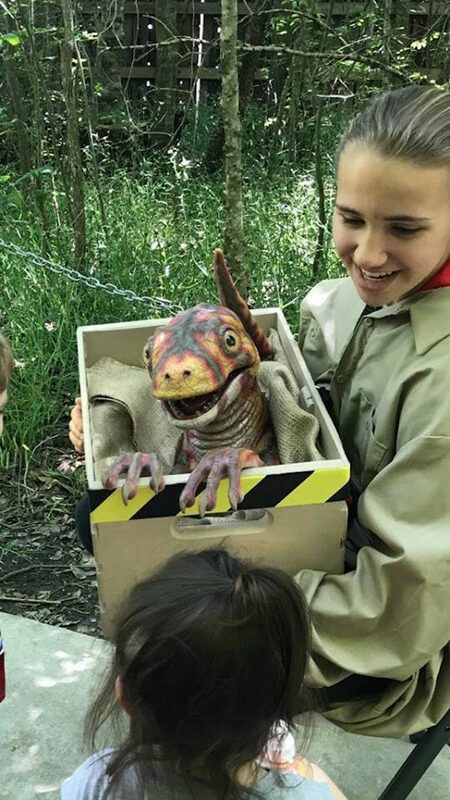 Your children’s eyes will light up when they see these life-like beasts. 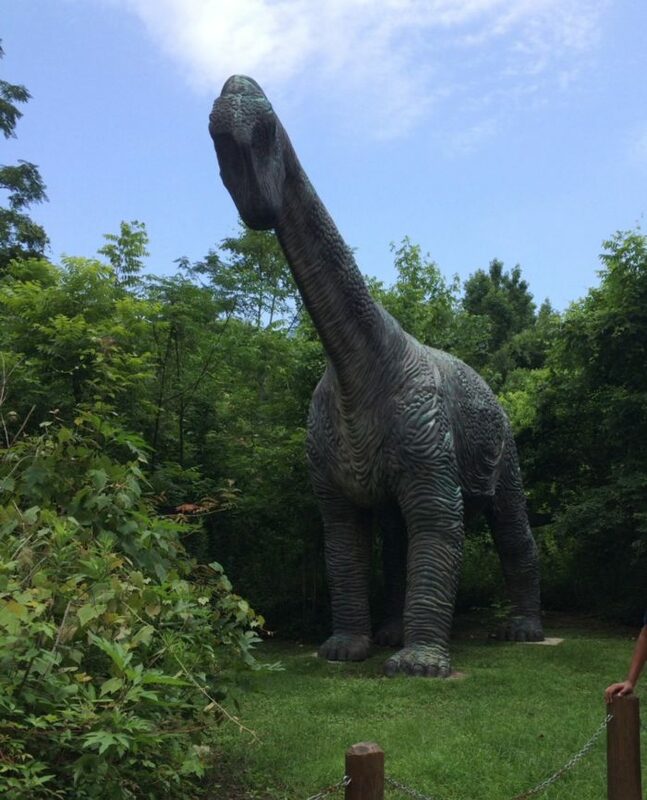 There are over 20 dinosaur exhibits, including some animatronic dinosaurs. 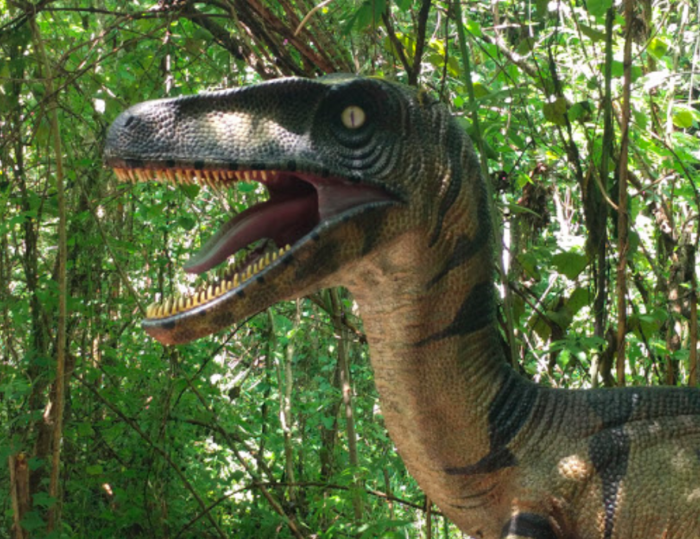 You’ll encounter a variety of realistic dinosaur replicas made from steel and fiberglass. You’ll be amazed at how life-life these things are! 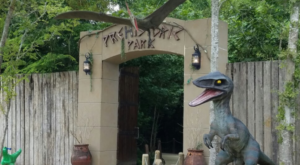 It’s a perfect place for a dino-themed birthday party. 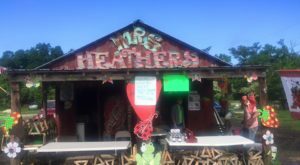 There’s also a concession stand, gift shop, and even a sandbox with buried bones so that your little ones can play paleontologist. 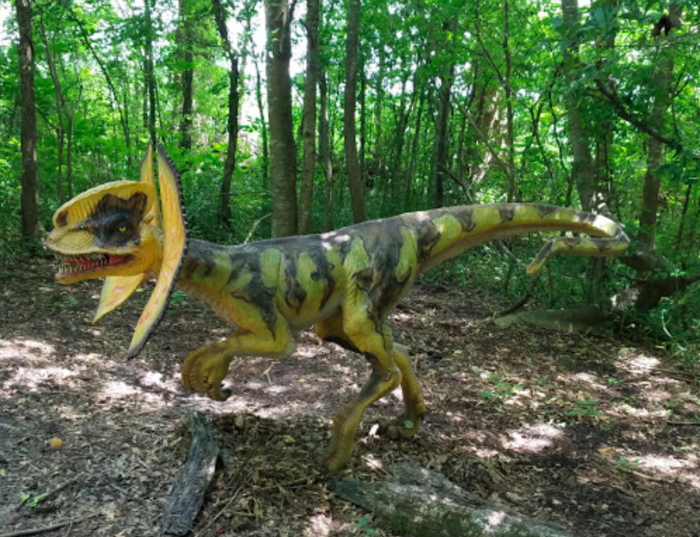 Kids and adults will have a blast wandering around learning about all the different kinds of dinosaurs. 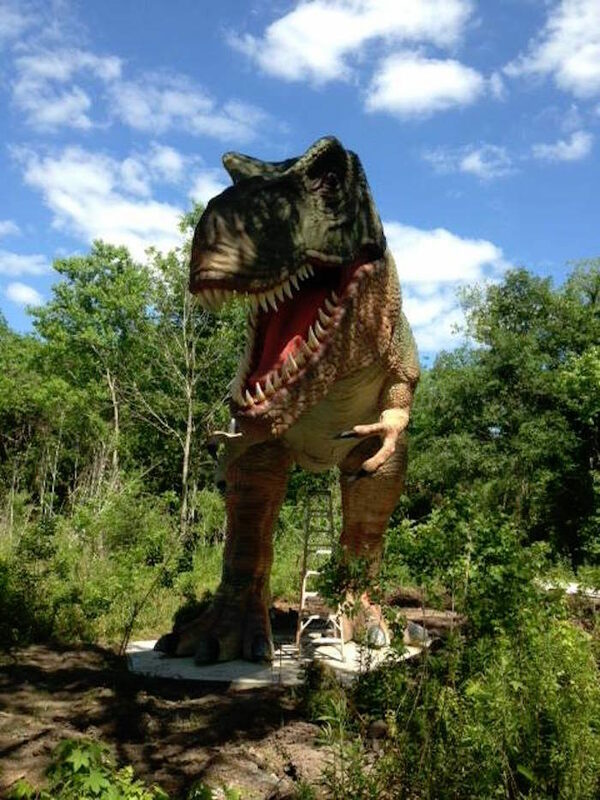 You can find Prehistoric Park at 1135 N Barn Rd., Henderson, LA 70517. 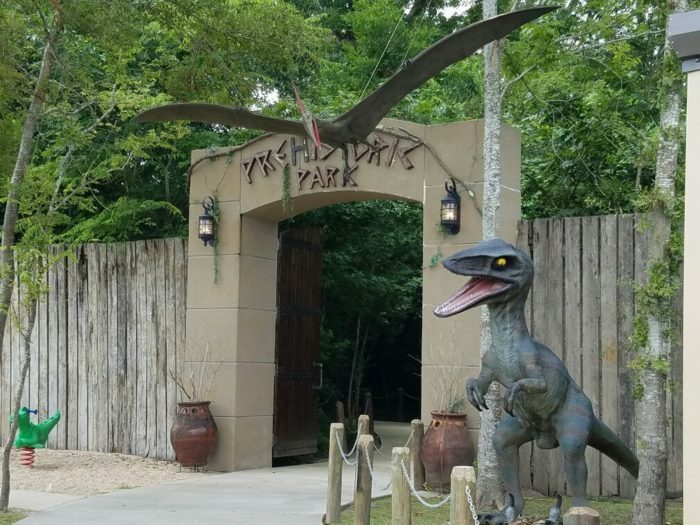 Prehistoric Park is open Wednesday through Sunday from 9 a.m. to 5 p.m. 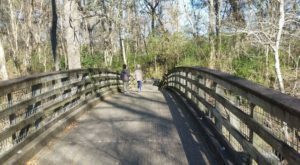 The park is closed Monday and Tuesday. Admission is $12 for adults, $10 for seniors (60+), and $8 for children ages 3 to 12 (kids under the age of 3 get in for free). 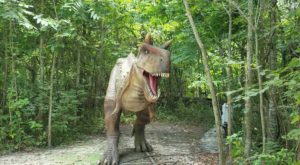 For more information, check out the Prehistoric Park website here and follow along with them on Facebook here. 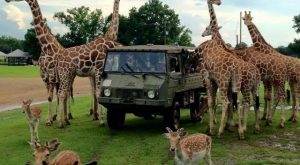 Have you ever been to Prehistoric Park? Let us know in the comments below!